We often hear the argument that the American alliance with Israel is damaging to the American interest due to the Islamic terrorism it yields. Many Muslims resent the United States for aiding Israel at the expense of the Palestinians, and this resentment is often fertile grounds for radicalization when combined with the economic hopelessness many young Muslims face in their home countries. Today, however, I’d like to discuss something different–the extent to which the US alliance with Israel contributed to the global economic crisis in 2008. Israel is not a major financial center. The crisis did not take place predominately in Israeli banks. Yet, nevertheless, we can find some of the seeds of the crisis in America’s decision to support Israeli foreign policy during the 1960’s and 1970’s. As productivity rises, the economy becomes capable of producing increasingly large outputs. For the economy to grow, those outputs need to be consumed. In the 1960’s, the US economy was driven a strong middle class. That middle class relied on wage growth to enable it maintain rising rates of consumption to keep up with rising rates of production. This was possible because the economy of this period was tightly regulated. Capital controls limited international trade during this period, prevent the outsourcing of jobs to lower wage economies, while strong unions pushed to ensure that wage growth kept up with productivity growth. The productivity-wage gap began to open up in the 1970’s, as the state abandoned the strong regulatory model in favor of free trade and increased labor competition to drive down production costs. Capital controls were eliminated and unions were weakened. 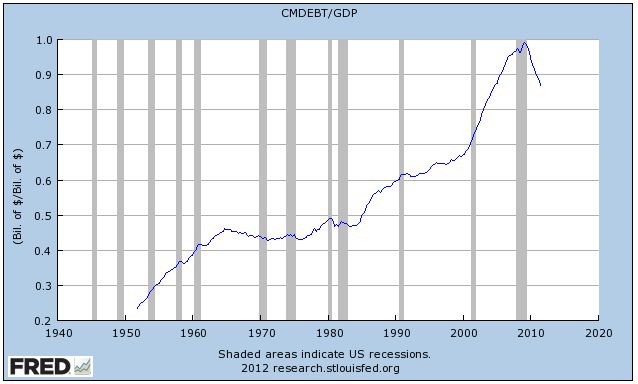 Instead of buying goods and services with their wages, US consumers increasingly bought goods and services on credit. This borrowing was inherently unstable because consumers were not borrowing on any justifiable expectation that their incomes would rise to cover their borrowing costs, but precisely because their incomes were not rising in the first place. Inevitably, it became clear that many more of these loans were going to be defaulted on than creditors had anticipated, and the result was the crash. So where does Israel come into all of this? We understand why the economy crashed–the productivity-wage gap–but this does not explain why we created the productivity-wage gap in the first place. The productivity-wage gap was created because we attributed the stagflation we experienced in the 1970’s to the structure of the US economic system. Conservative economists claimed that high inflation and low job growth were being caused by insufficiently competitive labor markets in which predatory unions were forcing wages up to unsustainable levels, increasing costs, and yielding price rises. Their solution was to break inflation by raising interest rates, inducing high unemployment, and thereby weaken the bargaining power of the workers. This weakening was further facilitated by laws reducing union power and removing capital controls so as to permit accelerated globalization. Oil prices play a central role in prices more generally, both because many goods are made with oil and because nearly everything is transported (or was transported, during the 1970’s) with oil-based fuels. In both of these cases, the price of oil jumped around 300% from its previous peak (the ’73 shock is more severe, as a percentage, while the ’79 shock is more severe in absolute terms). Consumers saw abrupt jumps in the costs of goods and services in 1973 and 1979, and demanded faster wage growth to keep up. This put the economy on an inflation treadmill, in which workers and vendors anticipated rising prices. As a result, baseline inflation rose–the trough of inflation in 1977 was roughly the same as peak inflation during the late 1960’s. If the economy was going to shake off this inflation, it did require a shock to prevent the further swift rise of prices and wages, and the interest rate hike in the 1980’s did provide that. However, it did not require the structural reform that went alongside those interest rate hikes. It was not necessary to permanently weaken labor. The state’s task was to respond to the oil shocks and return the economy to pre-shock growth, not to fundamentally alter the economic structure. Instead, conservatives used the shocks to permanently weaken labor. So, in effect, the economic crisis, rise in household debt, productivity-wage gap, and growth in inequality we have seen in recent decades all can in some way be traced back to stagflation and to the oil price hikes, which in turn were triggered by American support for Israel more than 40 years ago. The cost of this change in trajectory is difficult to fathom. 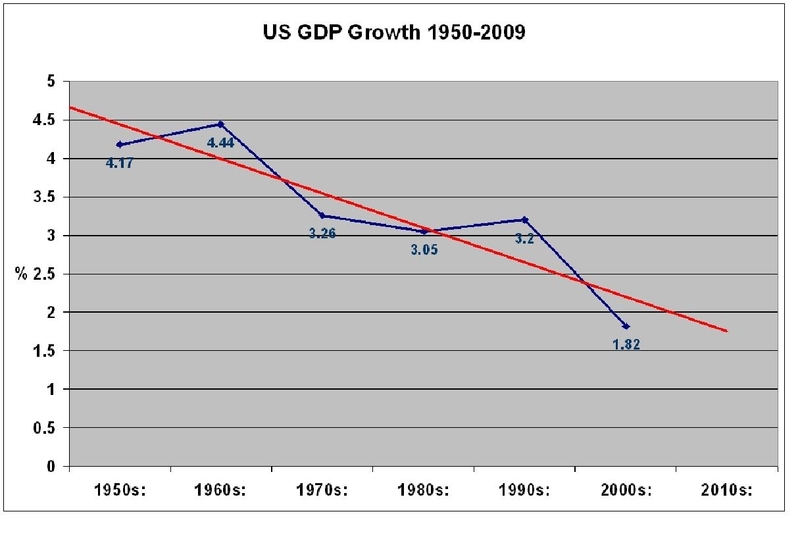 If the United States had been able to continue maintaining 4% GDP growth and avoided the crisis, it would be trillions of dollars more prosperous today. The economic crisis quickly spread beyond America’s borders to the Eurozone and to the rest of the world, and these countries too would likely be substantially better off had the pre-shock global economic system been largely retained. Perhaps it would not have mattered, perhaps the oil shocks were merely a catalyst for an inevitable shift toward the right. Nevertheless, the thought that the $2.2 billion the US gave to Israel in 1973 could have this trillion dollar impact on the lives of people all over the world is both fascinating and disturbing. No one could have anticipated this, and it isn’t really anyone’s fault individually, but it’s stunning nonetheless.